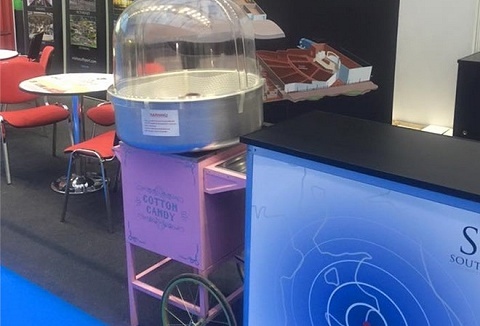 Whether you're organising a school fete, family fun day, private event or corporate exhibition we can supply a range of fun food equipment from traditional popcorn machines, popcorn carts and candyfloss machines operated by our trained & uniformed staff. Freshly popped and spun is the best way to eat it. 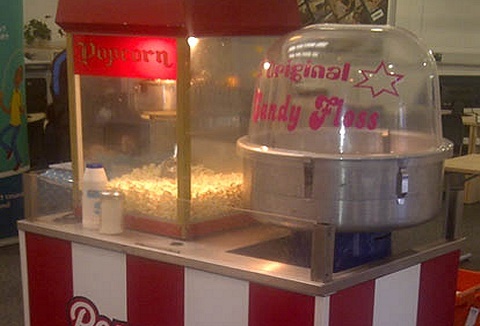 We hire out popcorn machines, popcorn carts, and candyfloss machines ideal for parties, corporate and promotions to fetes. Our fun food equipment and machines are all available on DIY basis or staffed. Est 1999 We cater for all occasions, parties, events, schools, fetes, fun days & offer traditional fun food packages, candy carts, popcorn, candy floss, slush machines, pick & mix stands & more. All year round hire, all types of indoor & outdoor events.